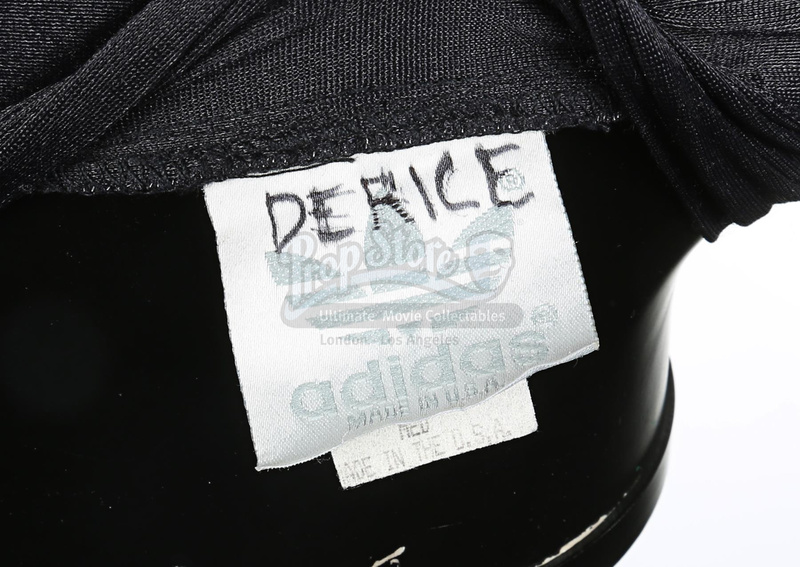 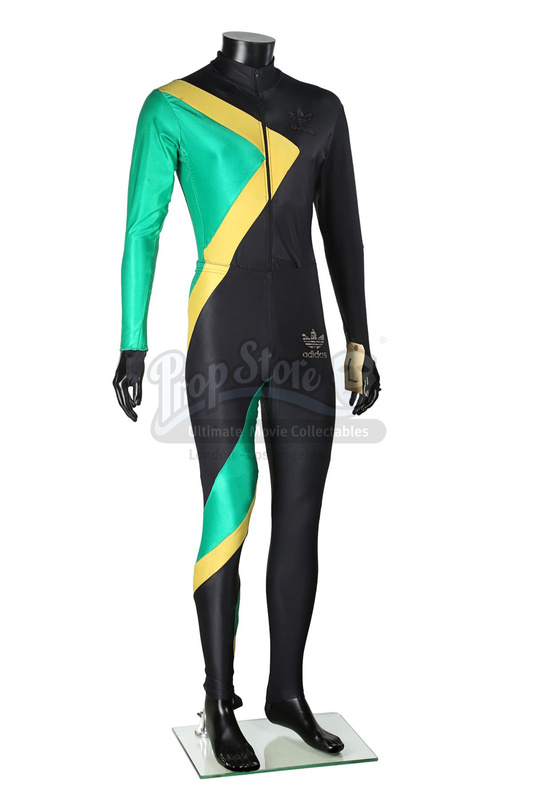 Jamaican Bobsled Team suits worn by Derice Bannock (Leon), Sanka Coffie (Doug E. Doug) and a stunt performer in Jon Turteltaub's comedy Cool Runnings. 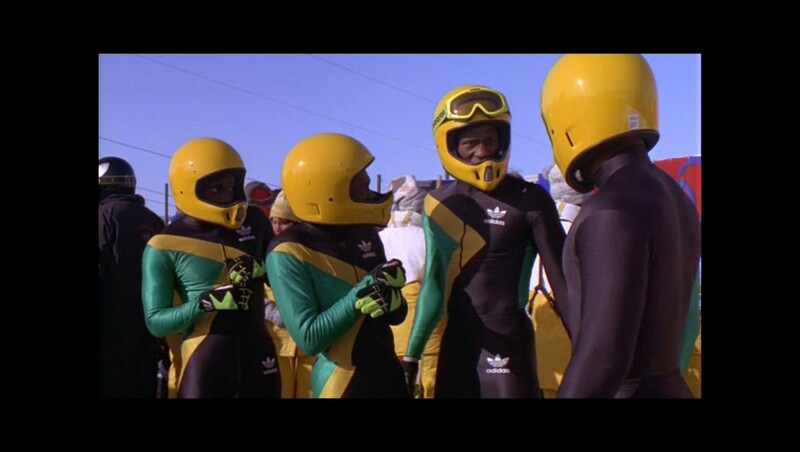 Bannock and Coffie wore their suits after team coach Irv (John Candy) bought them so the team could fit in among the world-class bobsledders at the 1988 Winter Olympics. 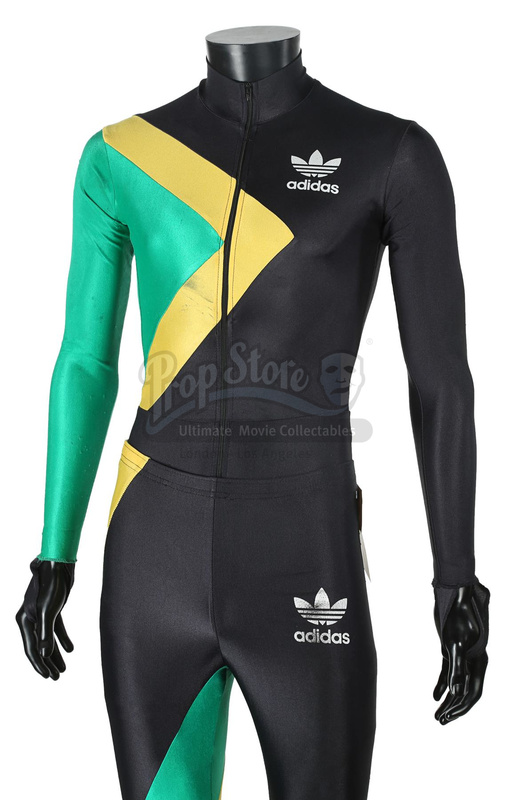 Made by Adidas, the suits are fabricated from a nylon-spandex blend and consist of a long-sleeved, short-leg bodysuit with a pair of matching leggings, with the stunt suit's components sewn together at the waist. 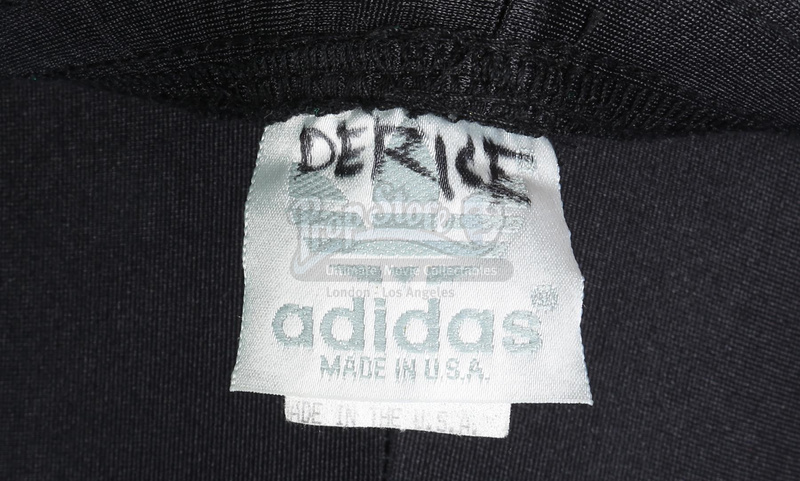 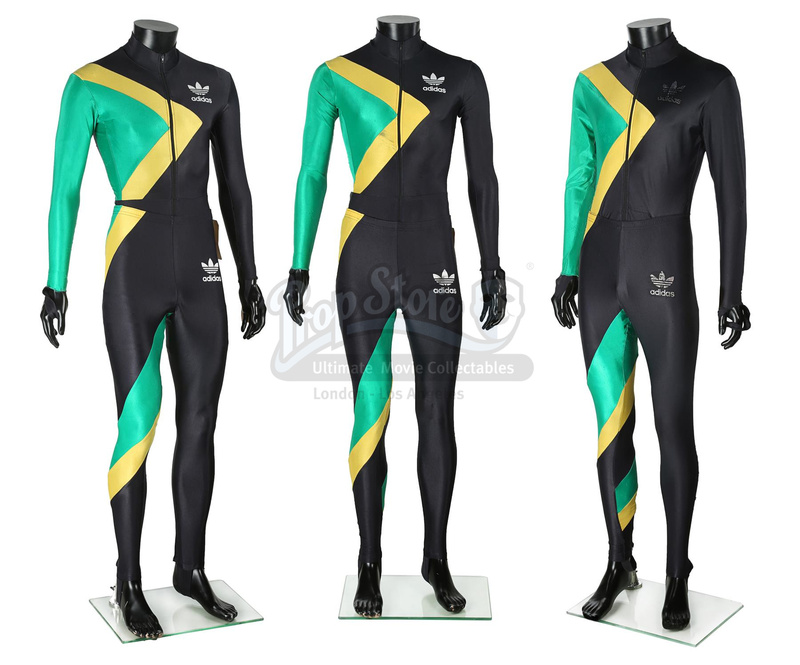 The suits feature the colours of the Jamaican flag, with printed white Adidas logos. 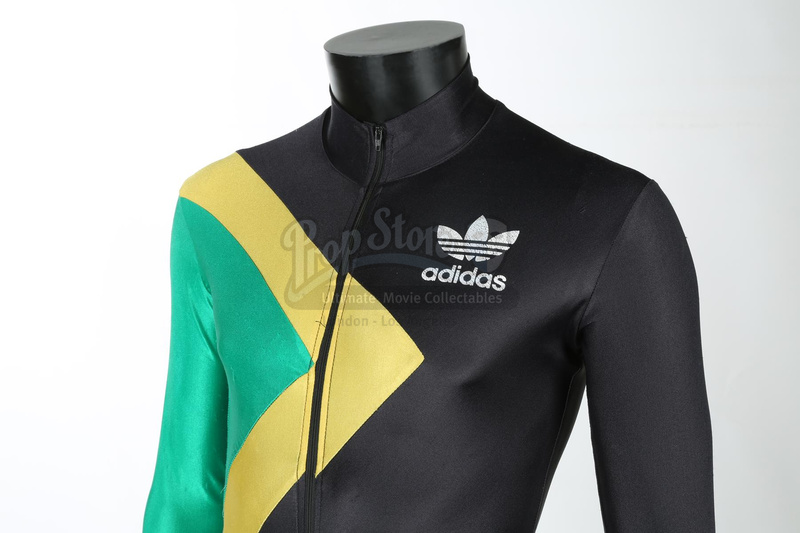 The bodysuits fasten via a zip along the front, with hand-loops on the sleeves, and zips and stirrups on the leggings. 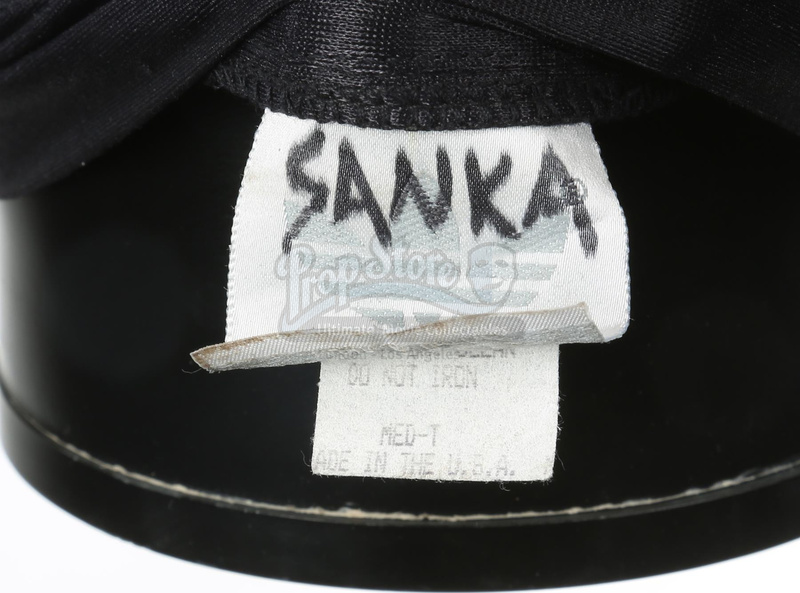 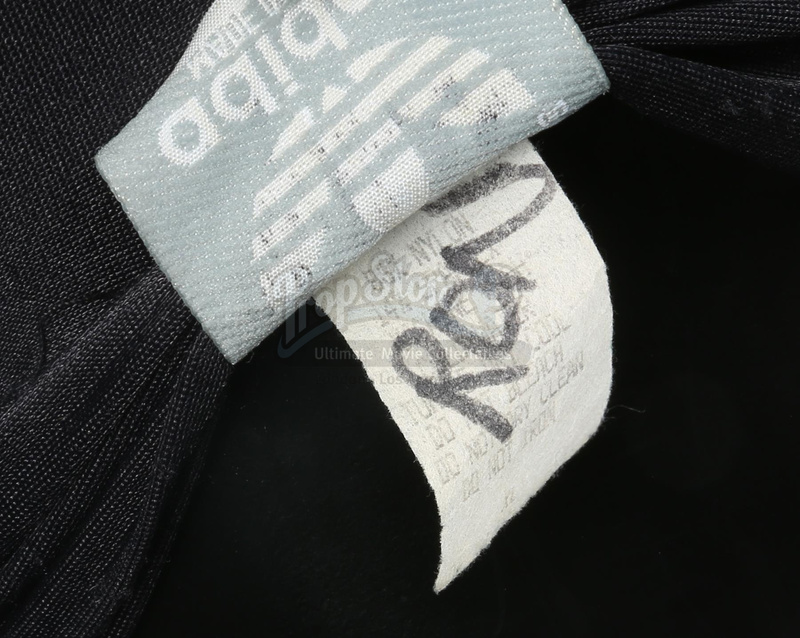 Each suit displays handwritten labels: Bannock's features 'Derice' in the bodysuit and leggings; Coffie's displays 'Sanka' in the bodysuit and leggings; and the stunt suit is labelled 'Ron' in the collar. 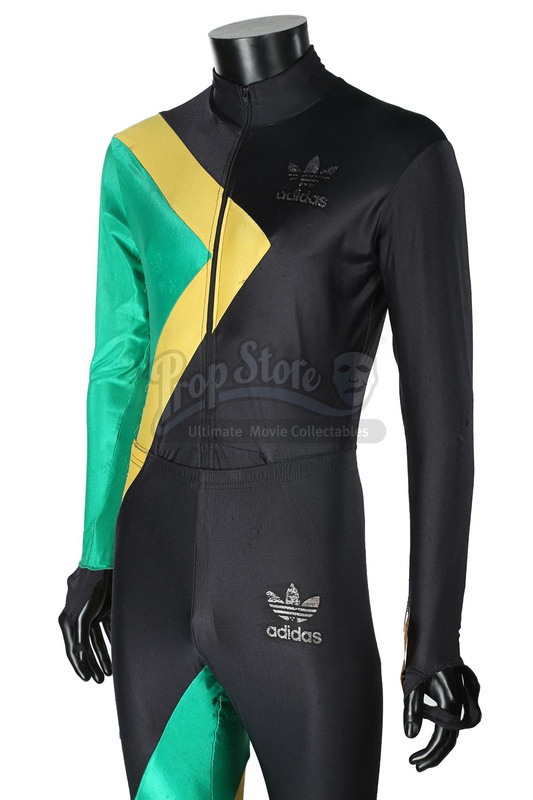 The suits display various plucks and marks, with scratches and exposed elastic throughout each from use.